Not Ready for Newborn Photoshoot? How About a 100 Days Baby Shoot? Not Ready For Newborn Photoshoot When You Just Had A Baby? For new parents to be and/or parents of young children, if you feel overwhelmed with the changes in your life after the arrival of your new bundle of joy. Upon your baby’s arrival, Do you…. rush straight to baby when baby makes every sound or cry? constantly check to see if the diaper is soiled? feel you are constantly breastfeeding, expressing milk or keep washing and sterilising the bottles? feel that you are subconsciously worried about baby even while you are asleep? Congratulations! You are not alone and its time to embark on the new phase of your life. They are only newborns for a month, toddlers for a few years then you see them run around as children for a couple more and before you know it – they hit the teenager phase, then they will be all grown up. You have seen the sheer amount of newborn photos on social and your friend’s feeds and you like to get that too. HOWEVER, you’re still in confinement and not feeling your best with the sleepless nights, and hope to lose abit of weight first before you’re confident to be in front of the camera. when you are still on maternity leave. All when your baby is still small and capturing their ’tinyness. So how much later? When then is the next milestone to take baby photos after the newborn phase? When is a good time to photograph babies? 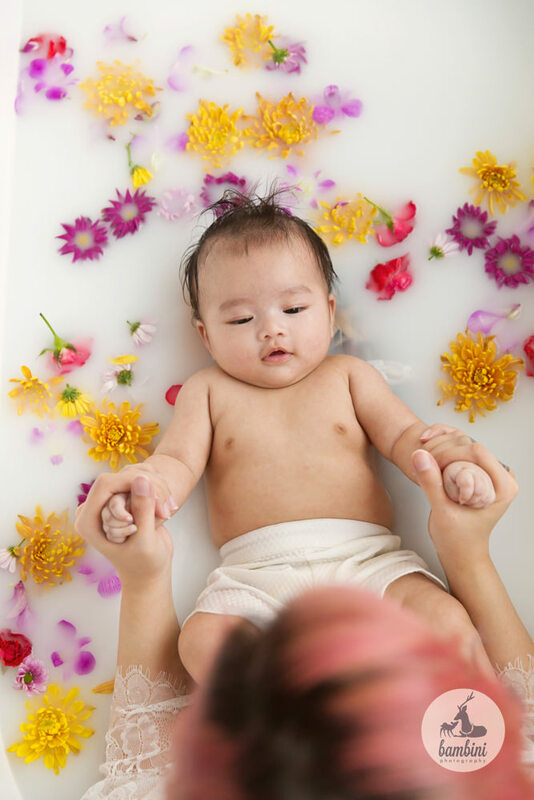 100 days old photoshoot (Classic + Milk Bath) would be a great milestone to preserve before you miss another milestone. WHY? We heard that some cultures celebrates 100 days as commemorates the full 1 year from the time you conceive and is a very special time preserve memories at this stage. 3 months is the cuteness overload phase! It’s a milestone that captures their alertness, curiosity, tummy time and their goos and gaa’s. Your baby has started to communicate more with you, respond to the things familiar to them and they are stronger now. A milestone to celebrate for sure! You can do both tub and ‘land’ shots in one session. We love this series so much because you truly get the best of both worlds, especially if your baby loves their bath time. 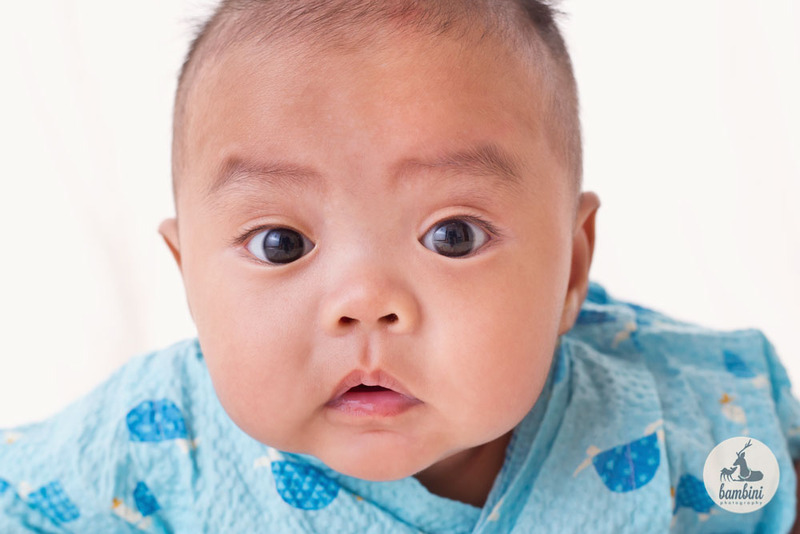 You get to capture your baby’s facial responses and expressions! Curiosity, alertness, eye contact, smiles, and even precious cries. You are more rested now and have gain better momentum at handling your babe… Now you’re ready for lights, camera and action! It’s the time when your baby is all chubby and baby rolls are your latest obsession and how you just can’t get enough of those fishball cheeks, so much so you just want to keep kissing them! 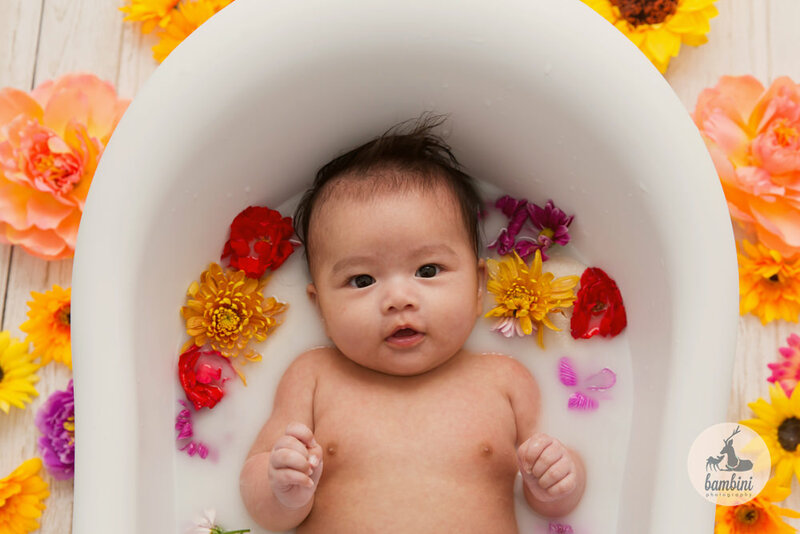 While Newborn Photography definitely has that serenity to the photos, 100 Days Baby Photography has so much individuality and charisma to it because of the babies! This series will be more focused on your baby engaging and interacting with you more too. Our photographer will guide you through the whole process so you know exactly what to do during the shoot. Once you have decided that this is it, all you have to do is to bring yourselves and enjoy your precious time as a family. Thats our aim and vision to preserve memories of families. We love families and the joy the babies bring to their family, and we hope we can capture that for you. We also have the tubs prepared in our studio, so just book and have fun! So now… Something to think about when you are serious about preserving memories of your baby’s growing up process professionally. Get in touch with us at info@bambiniphoto.sg or WhatsApp us at +65 8717 1558 to learn more about packages/booking process.